Minnesota Thunder Academy has developed more Division 1, Professional, and US National Team Players than any other soccer club in Minnesota. 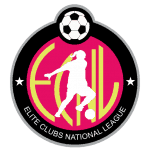 As a member of the US Soccer Development Academy (DA) and the Elite Clubs National League (ECNL), MTA strives to be the top youth development club for soccer Minnesota and across the country. MTA has trained some of the brightest young players in the United States who have gone on to play college soccer, professional soccer, and represent their country’s youth and senior national teams. The purpose of MTA is to develop successful people, not just great soccer players. Behind every successful person is a great support structure. That structure includes guidance from within the family as well as positive external influences at school and beyond. MTA provides an environment that challenges and supports each player as they are nurtured along a path towards becoming a successful person. In addition to our core development programs, MTA invests thousands of dollars every year into scholarship programs that support our kids as they leave blood, sweat, and tears along their paths towards success. Currently, 10% of MTA athletes are given the opportunity to chase their dreams because of financial aid awards. Minnesota Thunder Academy’s mission is to develop soccer players to the best of their ability. MTA has a long history of developing world class players by challenging them to play at the top of their game while training with many of the best players in the State of Minnesota and competing against some of the best players in the nation in both the ECNL and US Development Academy leagues. MTA is committed to the development of players above all else. Many clubs focus on winning at every level. Our focus is teaching kids to love the game at an early age, teaching them to train to compete at a high level and then enabling them to compete against the best. Minnesota Thunder Academy has one of the most licensed and experienced staffs in the State of Minnesota. Many of our coaches have played on Division 1, national, and professional teams. They have also been trained and licensed in the top programs in the U.S.
At Minnesota Thunder Academy we emphasize the development of the player to his or her full potential. We move kids around in the club to enable them to compete in situations where they will both flourish and fail. They will compete against younger kids and hone their skills in an environment where they are a leader. They will also compete against older kids where they are more likely to fail but will have the mentality of it’s ok because I’m going against the big kids. In the end our goal is for our players to reach their potential. At times this means we will win fewer games. In the end, it means our players will develop more.